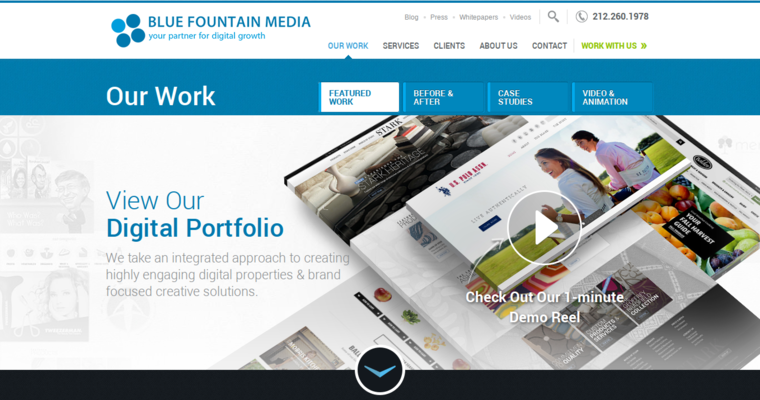 Blue Fountain Media is a web design agency that focuses on growing their clients' brands online. They create custom websites that are built to be search engine friendly and to be responsive on mobile devices as well. 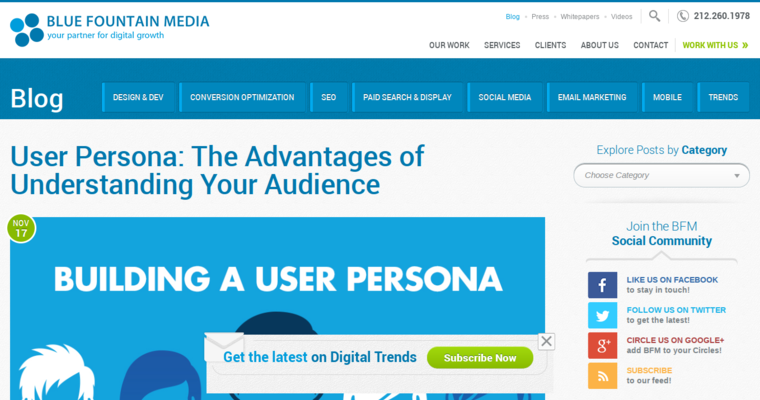 They have a process for all website projects that is designed to maximize return on investment for the client. This begins with discovering exactly what they want to achieve from their site and then planning strategies to implement it. 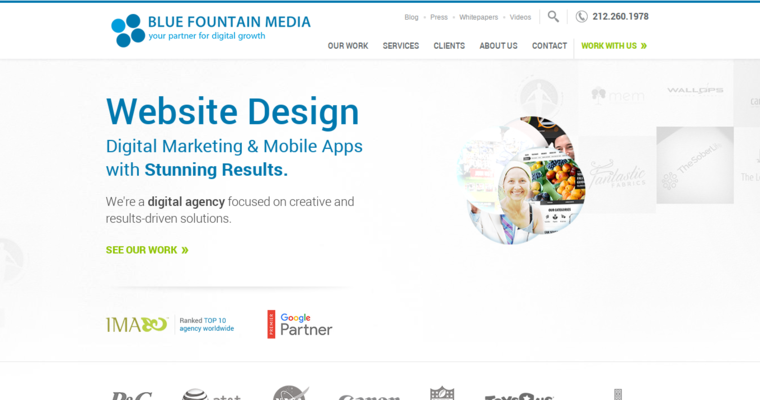 The coders and designers at Blue Fountain Media then get to work converting this plan into a smoothly functioning website that provides an intuitive user interface and that has the content needed to convert visitors into customers. If you are just starting out, they can design a new website, or they can do a redesign of an existing site that is not living up to its potential. They'll also help you market your website.